Throwing Rules to the Wind is a hidden gem that you should definitely add to your TBR list A S A P! An intriguing story that captures the beauty of forgiveness, not only for yourself but others as well. This book was so much more than what I thought it’d be, and I LOVED that. From the outside, Zara seems like she’s living her best life. A sweet, handsome boyfriend, the perfect job, and great friendships to help her through life.. But when we enter her inner thoughts, we find out that’s really not the case at all. I adored Zara BECAUSE of how flawed she is. We learn early on in the book how insecure she is and how that impacts her life in every way. It hurts her relationship, how far she pushes herself at work, and the way she interacts with her family and friends. And the best part of this book was the way we learn about how she became this way. 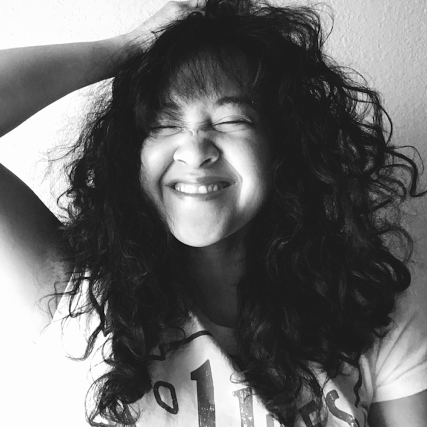 Thessa Lim is a fantastic writer and I look forward to all her future work after reading this! 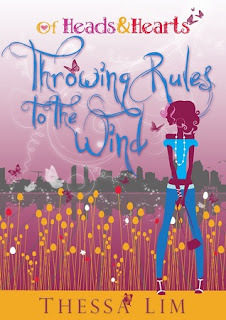 The way she blended Zara’s past to help readers understand her better was amazing, and yes, my favorite aspect of Throwing Rules to the Wind. I’m usually not a fan of this, but Lim did so well with this method that I was instantly rooting for Zara instead of grinding my teeth at her actions! Like when I was saying, GIRL STOP PUSHING MATT AWAY!! We’d get to read a piece of her past that would reveal so much of who Zara is, and it was always perfectly placed. I really loved this. All the characters were fantastic! Zara’s friends were amazing, I need to go back to read the first book in this series that features all of them! And then there’s Matt, Zara’s boyfriend, who is absolutely perfect and I adored the romance in this book SOOO much. It completely swept me off my feet and serious *heart eyes* - OKAY. Everything readers enjoy about contemporaries is present in this book. From romance, friendships, and family drama. The plus side to Throwing Rules to the Wind is that it’s set in the beautiful Philippines, and it was the cherry on top to all the already great ingredients! Overall, I really enjoyed this book. A true story about seeking the closure you need to trust again, and the tough road forgiveness leads you on, only to set you back on track. I would recommend it to anyone who enjoys women’s fiction - pick this up!